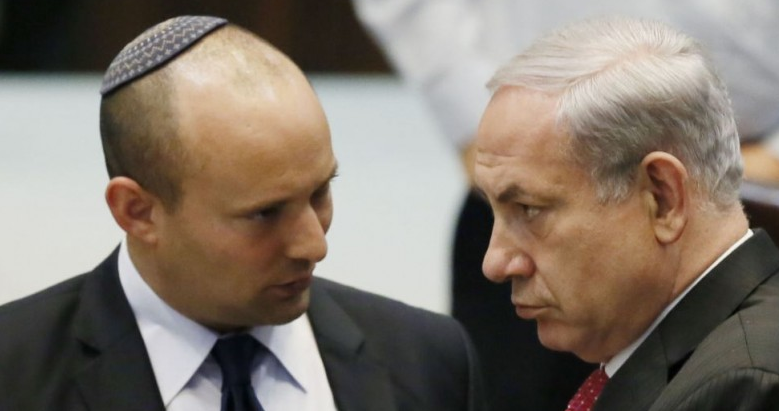 Bayit Yehudi chairman became crucial to new, narrow Netanyahu coalition after Lieberman dropped out, allowing Bennett to name his price in portfolios. Bayit Yehudi chief Naftali Bennett, a social media savvy former entrepreneur and vocal opponent of a Palestinian state, has emerged as a new kingmaker of Israeli politics with a key role in the government. The 43-year-old's meteoric rise has turned his nationalist-religious party into a political force able to demand several key portfolios in return for joining Prime Minister Benjamin Netanyahu's incoming coalition. The former special forces commando took Israeli politics by storm in 2012 when he became head of Bayit Yehudi, which was flailing with just three seats in the 120-member parliament. Bennett increased the hard-line party's representation in the Knesset fourfold and became economy minister; he is set to become education minister in the new government. A son of American immigrants, the former high-tech entrepreneur with near-perfect English sold his start-up in 2005 for $145 million and went into politics a year later, heading Netanyahu's staff when his Likud party was in opposition. As economy minister under Netanyahu from 2013 to 2015, Bennett further honed the communication skills that helped propel him into government, using social networks to connect with voters in Hebrew, English and French. His social media posts address people as "brothers" and "sisters" and use self-effacing humor. Addressing a right-wing rally before the March 17 elections, a guitar-playing Bennett led thousands in a classic Israeli folk song about Jerusalem. 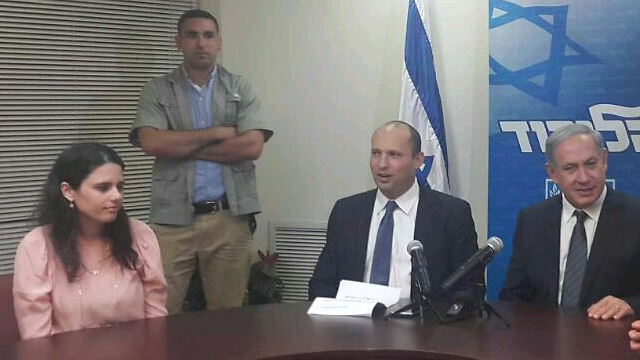 A former head of the Yesha settlers council, Bennett promotes a plan for Israel to annex around 60 percent of the West Bank and to grant the Palestinians limited autonomy in the remaining territory. Although his party largely represents Israeli settlers, Bennett and his wife, Galit – a confectioner who grew up secular – raise their four children in Ra;anana, a bourgeoisie city in central Israel. As economy minister, he trumpeted his work on domestic socio-economic issues for all parts of society, including Arabs. 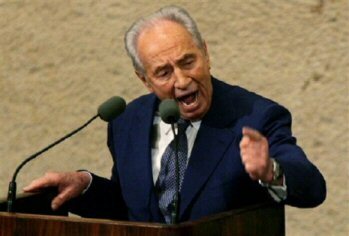 He opposed the US-led peace talks between Israel and the Palestinians but did not torpedo them. His controversial opinions led left-wing newspaper Haaretz to call him a "nuisance" who must be removed from the government in a 2013 editorial. It cited his remarks made on Facebook that "terrorists should be killed, not released," as Israel freed Palestinian militants as part of the peace talks in July 2013. 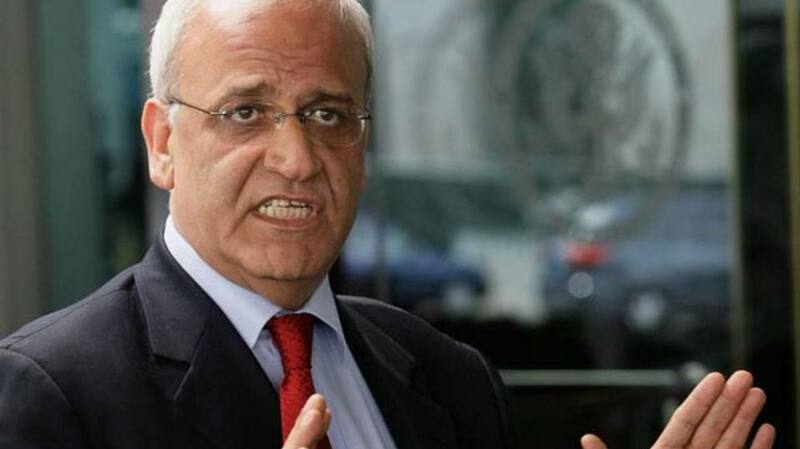 He also said there was no Israeli occupation in the West Bank since "there was never a Palestinian state here," and that the conflict with the Palestinians could not be resolved and must be endured like a piece of "shrapnel in the buttocks". In October 2014, Bennett wrote that "even when a British Muslim beheads a British Christian, there will always be those who blame the Jews," after US Secretary of State John Kerry said that the lack of Israeli-Palestinian peace was fuelling extremism, following an ISIS beheading. This outspoken approach has drawn a strong rebuke from the Palestinians, with Palestine Liberation Organization official Hanan Ashrawi saying on Thursday that Bayit Yehudi "represent the most extreme and racist elements within Israeli society". Bennett largely managed to refrain from creating tensions with Netanyahu under the previous government, despite a history of bad blood between the two which led to the end of Bennett's position as Netanyahu's chief of staff in 2008. As Israel prepared for the March snap elections, the premier said Bayit Yehudi would be "natural partners" in his next coalition. After winning eight seats, Bennett felt his party would be first in line when the horse-trading began. However, Netanyahu first struck deals with two ultra-Orthodox parties as well as the centrist-right Kulanu led by Kahlon – and previously anointed as the 2015 elections' kingmaker. But when outgoing foreign minister Avigdor Lieberman unexpectedly pulled out of coalition talks, Bennett was cast into the role of kingmaker, enabling Netanyahu to secure a 61-seat majority. 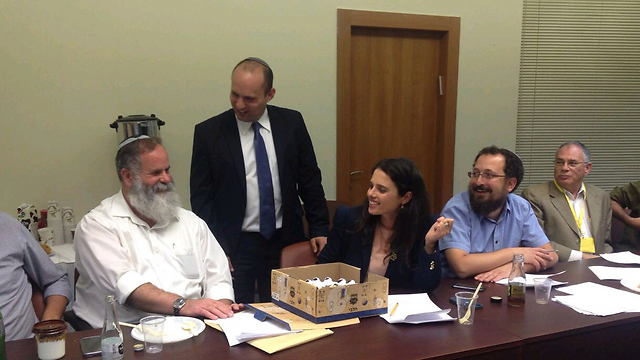 After accepting the education portfolio for himself, Bennett secured the justice ministry for Ayelet Shaked, a young secular Israeli at the forefront of efforts to curb the powers of the Supreme Court. Weinstein warns against legislative proposals in Netanyahu's new coalition. Attorney General Yehuda Weinstein on Wednesday announced his opposition to a bill proposed last year by Naftali Bennett's Bayit Yehudi party, the Justice Ministry said in a statement to the press. Coming on the last, crucial day of coalition negotiations, Weinstein's rejection of the bill, which proposed to limit the powers of the High Court of Justice, contradicts a directive Weinstein himself issued two years ago, in which he forbade government involvement in coalition affairs. "An independent High Court is essential to the existence and strength of Israel as a democratic state," said Weinstein, adding that "it contributes to Israel's character and image in the world as a civilized, progressive country." Weinstein said he intended to stand guard and maintain the High Court as one of Israeli society's most important assets. MK Yariv Levin of Likud criticized Weinstein in a radio interview, saying his words were blatant interference in political matters. The bill is one of several legislative proposals that Prime Minister Benjamin Netanyahu's new coalition will be considering. Netanyahu clinched a deal on Wednesday to form a government comprising five parties that will hold a one-seat majority in Israel's 120-seat Knesset. Coalition partner Bayit Yehudi, which secured the Justice Ministry as part of the agreement, has drafted a bill to restrict donations from foreign governments to non-governmental organizations in Israel. Many NGOs operating in Israel, whether Israeli-run or international, receive funds from the European Union, the United States and elsewhere. The measure proposes taxing any such income unless Israel's defense minister and a parliamentary committee on security affairs say otherwise. Critics say the bill is designed to hamper the work of pro-Palestinian groups and those opposed to Jewish settlements on land claimed by the Palestinians. Measures have been proposed that would limit the power of the Supreme Court. One bill would permit a simple majority in parliament to override any High Court decision that outlaws a piece of Israeli legislation. Another seeks to limit the court's ability to overrule legislation by requiring any such ruling to be made by a majority of nine of Israel's 11 Supreme Court justices. Court decisions have angered both left and right-wing parties over the years. It drew the wrath of the last Netanyahu administration when it struck down a law that allowed the authorities to detain African illegal migrants without trial. Netanyahu's far-right partners want to increase the size of a government-named panel that selects judges to ensure there would be more lawmakers than judges on that committee. Netanyahu has demanded that coalition partners agree to vote in favor of all measures proposed by his government to rein in Israeli television stations and other media that require government licenses in order to operate. Netanyahu's Likud party has proposed a "nation-state" bill that would enshrine Israel as a Jewish state. The legislation was introduced last year and is now on hold. Israel's president is opposed to the bill, which he says goes against the sentiments of Israel's founding fathers. The country's 20 percent Arab minority is also strongly opposed, believing it actively discriminates against them. Members of Bayit Yehudi have proposed the annexation of parts of the West Bank, land the Palestinians seek for an independent state together with Gaza and East Jerusalem. Netanyahu opposes such a move, which would likely trigger significant protest from Israel's major Western allies. 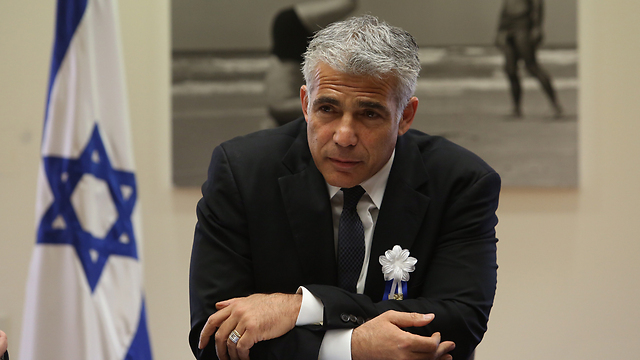 In letters to attorney general and Knesset speaker, Yesh Atid chief warns bill to temporarily repeal limit on number of ministers is unconstitutional. Yesh Atid sent letters warning the attorney general and the Knesset speaker on Friday against holding a vote on Monday on expanding the number of ministers for Prime Minister Benjamin Netanyahu's fourth term. The letters were served as notice before faction chief Yair Lapid petitions the High Court of Justice against the move. 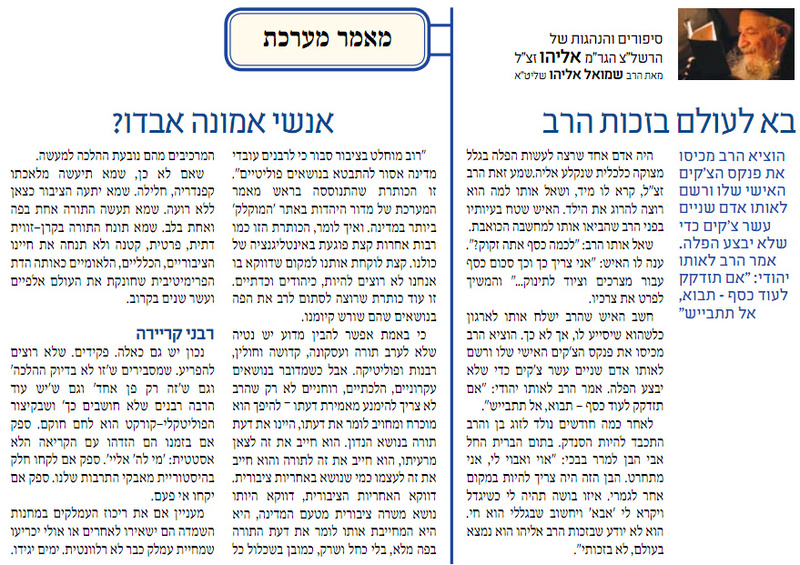 Lapid previously warned that he would take such actions in an interview to Ynet earlier in the week. The bill proposed by the Netanyahu government seeks to temporarily repeal a law passed in the previous Knesset which limited the number of ministers to 18 and the number of deputies to four. The new legislation asks that the limitation be revoked for the current Knesset, only to be reinstated after the next elections. 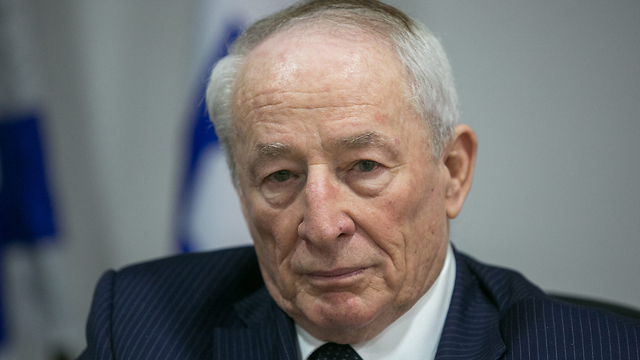 The government will also request to be allowed to appoint ministers without portfolio – a political institution that was eliminated by Yesh Atid in the 19th Knesset. "This is a despicable political act which will cause harsh, critical, and irrevocable harm to the standing and respect of the Knesset," said the letter sent to Attorney General Yehuda Weinstein and Knesset Speaker Yuli Edelstein. The Yesh Atid letter accused Netanyahu of using his personal relationship with a senior MK to pass the controversial legislation. "The prime minister is exploiting the fact that the chairman of the legislative body, the Knesset, is an old friend from his faction. If not for that, he would not dare commit to such harm, with such far-reaching consequences, to a basic law written by a previous government." The harsh Yesh Atid letters said the legislation was "a cynical exercise of changing the rules in favor of political survival and cronyism on behalf of the prime minister, who is asking – at knife-point, in the form of a loyalty test – that the Knesset speaker will personally help fulfill his request, all while trampling on the delicate fabric and balance between the legislative and the executive." Officials at Yesh Atid said the proposed bill was an unconstitutional attempt to increase the number of permanent ministers. "This is a crude crushing of the legislative principles and an act of disrespect to the Israeli public who works and pays taxes." While some are comparing the Bayit Yehudi MK's tenure to that of Daniel Friedmann, the latter was a law professor and Harvard Law School graduate. The members of Israel's judicial system rarely express themselves in public, let alone about a controversial new justice minister. But in recent days, in particular since it emerged on Wednesday night that Ayelet Shaked will indeed receive the post, the judicial world has been in uproar. On one predominant concern is that the judicial system is now entering an era of power struggles against efforts to curb its power - including that of the Supreme Court. While former minister Daniel Friedmann is frequently mentioned in comparison, Friedmann was a law professor and Harvard Law School graduate, not a former high-tech worker with a strong political agenda. Some, however, are willing to afford Shaked one hundreds days of grace, hoping that she will learn the system before making any drastic changes, and realise that things look very different from the inside. One retired Supreme Court justice tried to sum up the prevalent atmosphere: "What do they want us to say after her reflections on the legal system? A hostile minister was appointed the first place. They are inviting a fight." The judge, who is greatly familiar with the legal system and has held many senior positions within it, added emphatically: "If she acts in accordance with her comments in the past, she will cause serious damage." 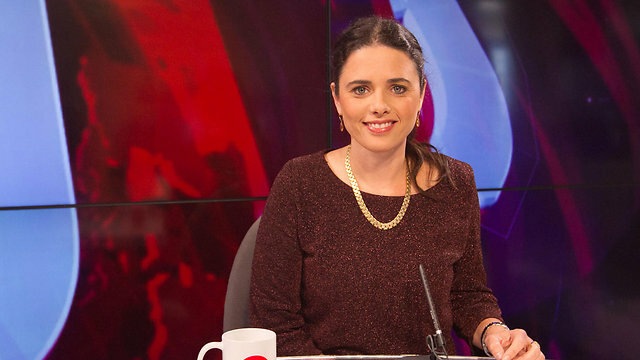 As a Knesset member, Shaked supported several bills to restrict the power of the Supreme Court. At the same time, she wants to enact legislation that would allow the Knesset to deny the Supreme Court the right to overturn laws. She repeatedly came out against the system for appointing judges, and supported changes to the composition of the committee that does so. As justice minister, Shaked will head both the Ministerial Committee on Legislation and Judicial Appointments Committee. At a legal conference last year, Shaked said: "My current mindset is that there is no balance between the legislative and judicial branches. 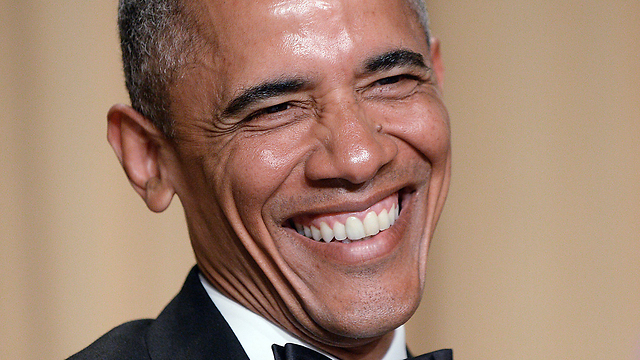 There is judicial supremacy over the executive and legislative branches. The authorities elected by the public are unable to fulfill their purpose and the will of the people." A state prosecutor also noted the concern within the judicial system: "It's an appointment that is a political concession made during the formation of the coalition, but it is much more than that. It's an appointment that can cause serious damage Israel's position as a democratic state in the eyes of the world. "Even if Shaked does advance measures and legislation that are not held up to ridicule, even they change the Judicial Selection Committee and the appointments are still fair, even if they legislate the clause (to bypass the High Court - AM) but barely use it, the reputation as the most advanced and enlightened legal system in the world will shatter, and as a country that faces international criticism every day, every Israeli should be worried." 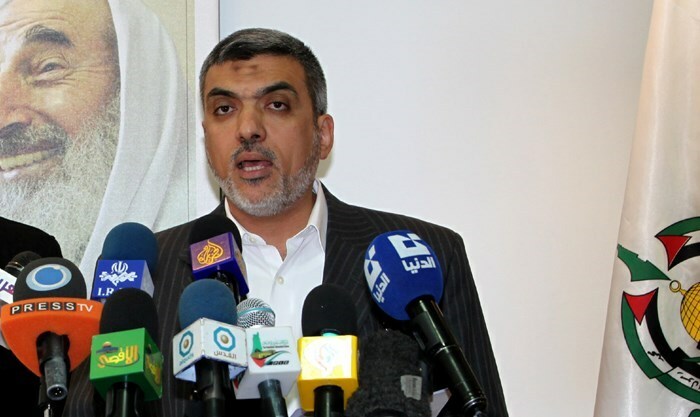 Hamas movement said in a statement issued Thursday. Three-year-old beaten with a hose ignored by welfare services; 12-year-old was sexually abused, but authorities failed to make contact; comptroller's critical report is no surprise to those who work in the field. "The report did not surprise anyone who works in the field," Dr. Hanita Zimrin, chairperson of ELI, the Israel Association for Child Protection, said Wednesday, referring to the State Comptroller's report published Tuesday that revealed severe shortcomings in the treatment given by authorities to child abuse victims. "After these thousands of children experienced betrayal from the people closest to them, they are betrayed by the country once more," Zimrin added. 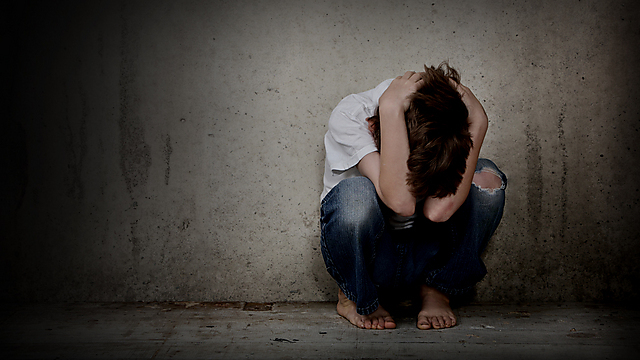 According to the report released Tuesday, there is no regular, systemic and free program to treat minors who have been subject to sexual or physical abuse, despite the fact that thousands of children and teenagers suffer from abuse every year. The lack of adequate services can worsen existing trauma, the comptroller wrote. One example given was that of six siblings who were sent to a social worker after repeated reports of violence by their parents throughout 2012. The social worker requested in November 2013 that treatment be expedited, but the official go-ahead didn't come until April 2014 – and the treatment had still not begun by the time the report was written. Over the past several months, professionals in the childcare sector notified the Israel National Council for the Child of severe deficiencies and inadequacies in the treatment given by welfare services. One of the reports dealt with the authorities' treatment of R., a three-year-old girl who suffered physical abuse. At the end of 2013, the welfare services in the child's community received a report that she had arrived at kindergarten with serious bruises to her face and body. The incident was reported by phone to the welfare services, but was not treated by the authorities. Two additional incidents that occurred in 2014 were reported by phone to the welfare services, but were also not handled. In June 2013, the same person who had notified the services of R.'s bruises filed another report with the same information, adding that he had come to understand that without filing the report in writing and sending an additional copy to the district supervisor, nothing would be done. The report also included pictures of the bruises. The investigation that was finally conducted found that R.'s parents had regularly tied her up and beat her with a hose. The authorities' negligence in properly handing the case of G, a 12-year-old girl who had been sexually abused by her mother's partner, is equally egregious. G. completed the process of giving testimony by March 2014. She sought treatment and filed various reports with the welfare services regarding the issue. However, even after five months, the department had neither contacted her nor helped her get treatment following the abuse she had suffered. "There you go, I reported it and nobody cares," G. summed up her experience by saying. Another report received by the services deals with G,. a 17-year-old who had notified the authorities of ongoing mental and physical abuse he and his three brothers had received at the hands of his mother and her partners. He decided to report what was happening in his family after his 13-year-old sister S., made suicidal remarks. The two brothers told of many years of mental and physical abuse, as well as loneliness. In the past, two reports were filed with the city's welfare services in light of S's suicidal thoughts and the mother's violence. These reports were not dealt with. G. and his sister S. gave testimonies about their experience in June 2014. A detailed report on the matter was then transferred to their city's social services department. In addition, several phone calls regarding the siblings' situation were made to welfare administrators stressing the need of a rapid intervention. However, it was only towards the end of July, after many appeals by G. to the welfare department that a social worker invited him to her office for a meeting. The deficiencies in the treatment of T.'s case, an 8-year-old girl who reported of sexual abuse by her father, were similar. Her parents are divorced, and her mother suffered a great deal of violence from her husband during their marriage. For about four months, the mother contacted the welfare department for help in making decisions that would protect her daughter, but her requests were left unanswered. Dr. Yitzhak Kadman, General Director of the Israel National Council for the Child said that "the country is single-handedly causing a situation in which children, who have already been through abuse and came to the attention of the authorities, will become victims of abuse again only because of ongoing deficiencies. The protection centers should be a link in a chain and not stand alone." The State Comptroller's report also pointed to the delayed establishment of child protection centers, where professionals diagnose and assess the situation of children. This, he said, was another shortfall. Six months ago, the Council contacted then-welfare minister Meir Cohen to alert him to the lack of treatment and monitoring, which they said has caused repeated, severe damage to children who had turned to the child protection centers. By law, eight such centers were to be established by April 2011, but that did not take place within the alloted time. Instead, the law was changed and the establishment of the centers was delayed until April 2013. But again not all centers were set up on time. The establishment of two other centers in Netanya and Safed was delayed for a long period, and de facto frozen due to the dissolution of the Knesset, absence of a welfare minister and a delay in passing the State Budget. The Israel National Council for the Child demands that the government act immediately to establish two additional protection centers. Dr. Kadman said that it was critical for every large city in Israel to have a child protection center. "The eight centers enshrined in law are the minimum of the minimum and their establishment is being delayed by intolerable bureaucratic foot-dragging that has been going on for years," the council's director said. "The result is inevitable damage to children who became victims of abuse and do not receive this service." Moroccans are hailing a decision to cancel the planned visit of former Israeli President Shimon Peres as a “victory” for popular efforts. Days of Palestine reports that, this past Friday, thirty Moroccan civil and political committees released a joint statement condemning Peres’ visit to Morocco. In the same day, a group of human rights lawyers filed papers demanding Peres arrest for war crimes upon his arrival in the Kingdom. The Palestinian Islamist movement Hamas also asked Moroccan officials that the infamous Israeli politician be blocked from entering Morocco. The Clinton Global Initiative for the Middle East and North Africa, which is to hold a conference in Marrakech between Tuesday and Thursday, removed Peres from the list of guests. Responding to popular calls, Morocco suspended its diplomatic relations and closed Israel’s liaison offices in Casablanca and Tangiers when the second Palestinian Intifada started in 2000. Rights and other civilian bodies have pledged to continue their protests against all what they called “normalization” the Israeli occupation. 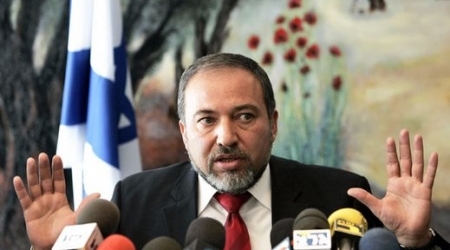 Israeli Foreign Minister Avigdor Lieberman has announced that he will resign his position and that his political party will not take part in Israel's incoming government. According to Al Ray correspondence (Andalou), Lieberman was quoted on Monday, by ../Israeli daily Haaretz, as saying that the coalition government currently being set up by Prime Minister Benjamin Netanyahu was "the embodiment of opportunism". "Our dilemma was principles, not seats [in the government]," said Lieberman, who leads the right-wing Yisrael Beiteinu party, at a press conference in Jerusalem. "We did indeed receive the Foreign Ministry in full during negotiations, along with the Immigrant Absorption Ministry," he said. He added: "We have reached the clear and unequivocal conclusion that it would not be right from our perspective to join the present coalition." Last week, Netanyahu managed to hash out coalition agreements with Israel's centrist Kulanu Party and the ultra-orthodox United Torah Judaism party, securing 14 Knesset seats in his effort to form a new government. Late last month, ../Israeli President Reuven Rivlin officially tasked Netanyahu, the leader of Israel's right-wing Likud Party, with forming Israel's incoming government. The Likud won 30 seats in March's Knesset (parliament) election, while its closest rival, the Zionist Union Party, came in second with 24 seats.